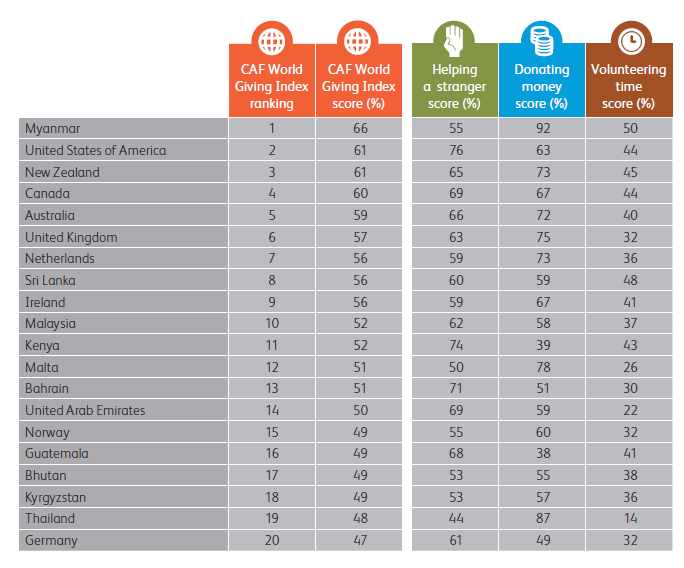 Top 20 countries in the World Giving Index, with a score and participation in the donating behavior. 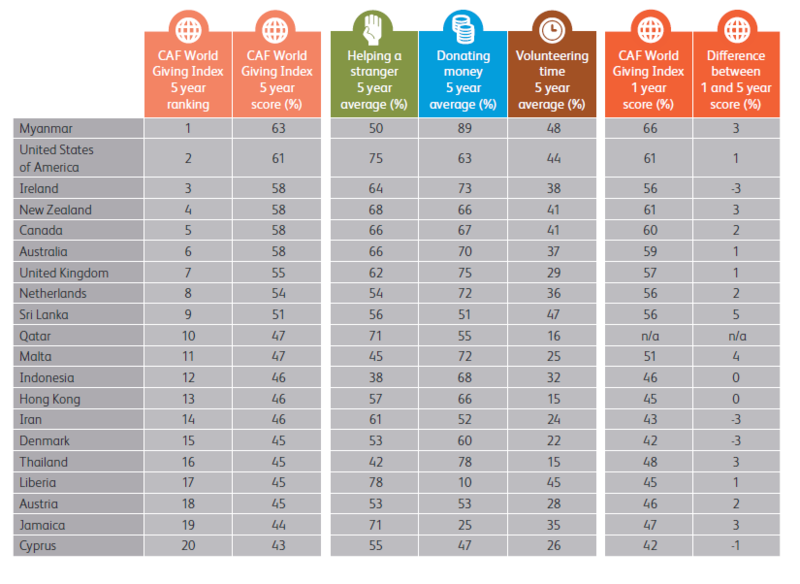 Score for five years and averages: the data represents the average participation in the countries surveyed in three or more different calendar years in the period 2010-2014. 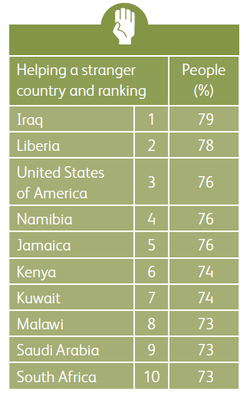 Score for one year: only includes countries surveyed in 2014. Data refers to participation in donating during the month prior to the interview. The data represents the average participation in the countries surveyed in three or more different calendar years in the period 2010-2014. Data refers to participation in donating money for a month before the interview. Calculated using UN adult population numbers. 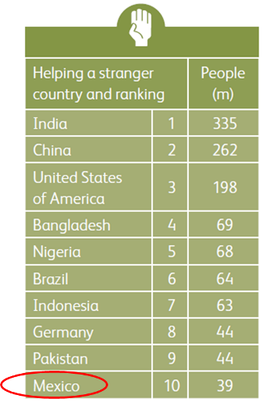 Only includes countries surveyed in 2014. Data represents average participation in countries surveyed in three or more different calendar years in period 2010-2014. Data relate to participation in donating money during one month prior to interview.